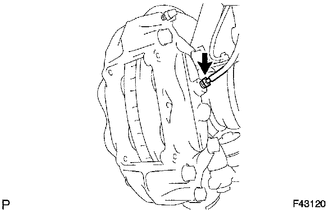 (a) Install a new nut and clip. 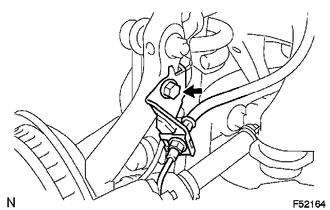 (a) Install the front suspension lower arm with the 2 bolts. (a) Install the tie rod end with the nut. If the holes in the cotter pin are not aligned, tighten the nut an additional 60°. 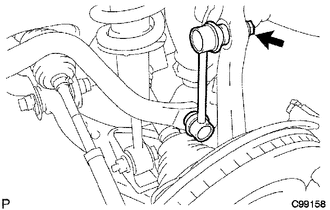 (a) Install the stabilizer link onto the steering knuckle with the nut. If the ball joint turns together with the nut, use a hexagon (6 mm) wrench to hold the stud. 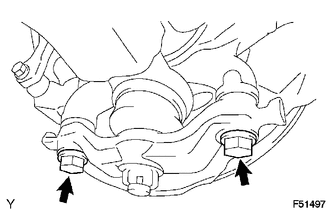 (a) Install the hub nut. 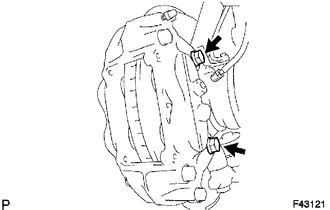 (b) Install the adjusting cap and cotter pin. 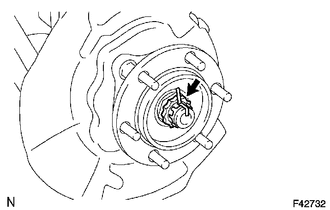 (a) Install the front disc brake caliper with the 2 bolts. (b) Install the brake tube bracket onto the steering knuckle with the bolt. 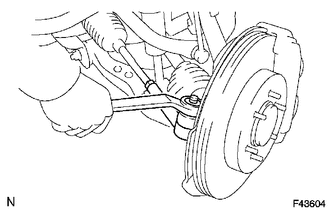 (c) Using a union nut wrench, connect the brake tube to the disc brake cylinder. 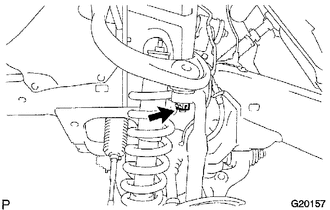 (a) Install the speed sensor wire harness onto the steering knuckle with the bolt. 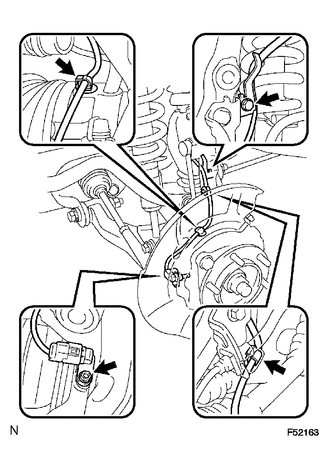 (c) Install the speed sensor with the bolt.